Kellii is the drummer for American alternative rock band from Los Angeles Failure. 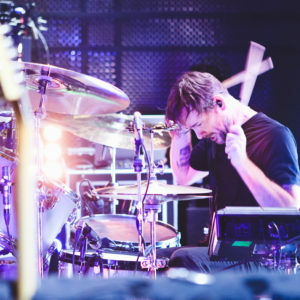 During 1993 to 1997 he played countless live shows and was featured on Fantastic Planet. After Failures first run Kellii Scott joined Blinker the Star for two albums, August Everywhere and Still in Rome, then joined Campfire Girls for their 2003 album, Tell Them Hi. Scott also played on a track titled ‘Best Friend’ by Size 14 bassist Robt Ptak on his solo project Artificial Joy, Ptak put this on his own personal reverbnation page in 2013. 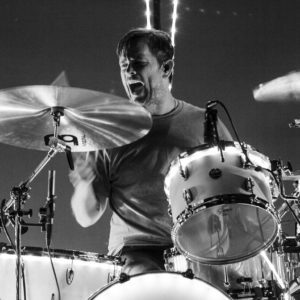 As of 2005, he was playing drums for both Veruca Salt and Enemy. In 2008, his most recent band The Brontosaur released their self-titled album. From 2008-2012 Kellii could be heard playing on all Linda Perry’s recording sessions, most notably Christina Aguilera’s song “You Lift Me Up” and Courney Love’s “Letter To God”. And in 2013 he worked with the Dr Dre and a 72 piece orchestra at Capitol studios for a song on his upcoming album. In 2014 the world would see Failure return with all it’s original members, tour the world and create what would be called by fans and critics far and wide one of the best records of 2015, The Heart Is A Monster. 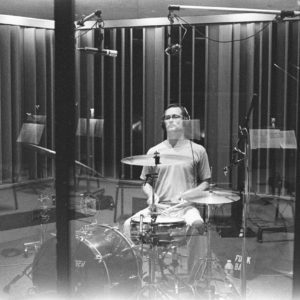 Currently, while awaiting Failure’s return into the studio for their follow up record, he is lending his talents to teaching drums.